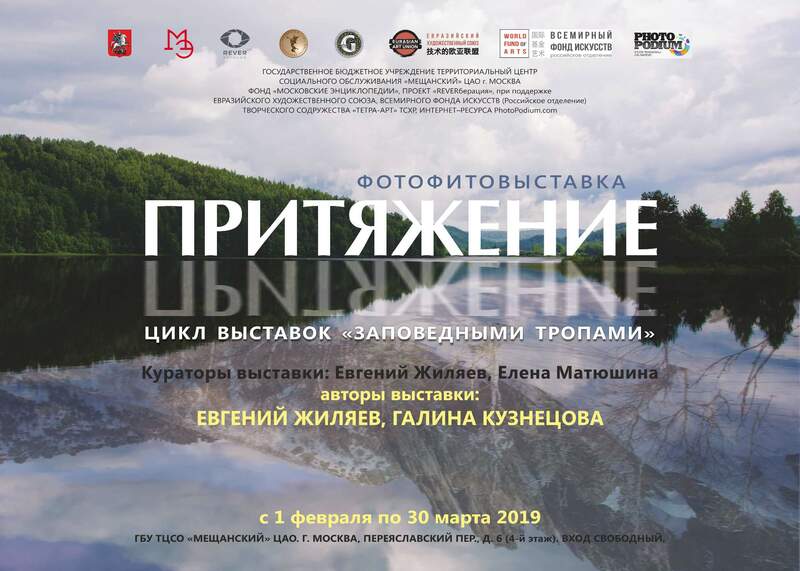 Dear friends, we continue to open the exhibition season 2019 and bring to your attention the next exhibition organized by the Moscow Encyclopedia Foundation as part of the # REVERberation project, with the support of the Eurasian Art Union, the World Foundation of Art (Russian Branch), the TETRA-ART Creative Union. From February 1, a joint photo exhibition of Evgeny Zhilyaev and Galina Kuznetsova “The Attraction” will be launched in the State Budgetary Institution “Meshchansky”, which will last until March 30, 2019. What makes a person break out of the usual urban rhythm, part with home comforts and go to meet adventures? Maybe the same feeling of freedom and space, suddenly coming to you on the road? Or maybe these are the impressions and emotions that you bring from these journeys? In the photo exhibition "Attraction" the impressions and views of two photographers - Evgenia Zhilyaeva and Galina Kuznetsova - united. This is the result of two photo expeditions - on the territory of the national parks "Taganay" and "Kenozerje". The beauty and harmony of these places have an almost magical power of attraction for creative people. Each author sees (and shows!) His reserved nature in his own way. Taiga trails and mountain climbing, the broken flight of seagulls and the heat of the fiery furnace, the reflection of the temple and the flowers of Ivan tea are such different objects, colors, and angles. But they are united by one - admiring beauty. And the viewer, thanks to the photographers, can connect to this feast of emotions. And Kenozerye still retains in appearance the features of the epic epos - in the platbands on the windows, in the villages on the banks of the river, in the forest roads, in the "heavens" of wooden temples. Kenozerje is a place where time seems to have stopped. The local beauty is not striking, but once it is imbued with it, the world becomes thicker, filled with emotions, colors and smells. Yes, it is the smells - such, for example, that you can feel in our exhibition - the most real, not painted. The authors of the exhibition "Attraction" - people of different temperaments, different stylistic preferences. Each of them has their own melody, heard (or composed?) In reserved places. Want to hear one symphony of nature in two different variations? We are waiting for you at the exhibition "Attraction". We congratulate our wonderful authors and wish them creative success! !